Families across the Wakefield district are invited to a huge free outdoor party in August as part of WDH’s 10th anniversary. 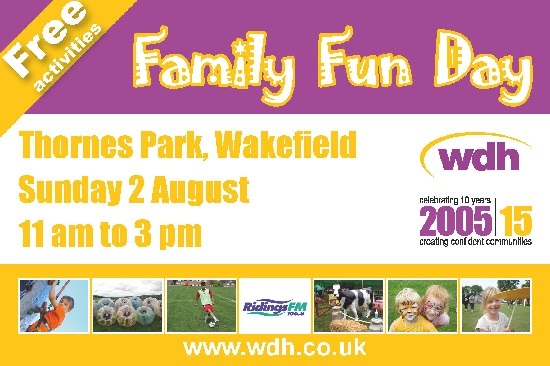 The Family Fun Day at Thornes Park, Wakefield, will include entertainment, music from Ridings FM and visits from Wakefield Wildcats and the West Yorkshire Fire and Rescue Service. Refreshments will be on sale at the fun day, on Sunday 2 August from 11 am to 3 pm, but all other attractions are free of charge and there will be prizes on offer. People of all ages will be able to try out circus skills, have a go at balloon modelling and throw some shapes at the silent disco. 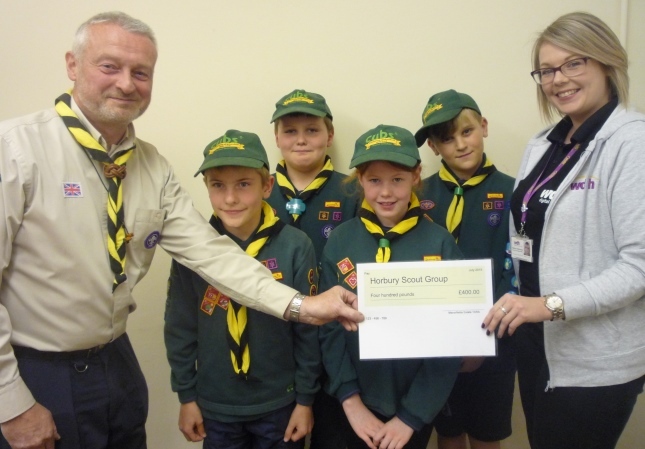 Those with a head for heights can scale the climbing wall, children can have their faces painted and Ian’s Mini Farm will bring a flavour of the countryside to the city. You can find out more about WDH’s services at our Summer Road Show, discover Change for Life health food and activity tips, and test your golf and football skills. The latest sporting craze – zorb football, in which players are wrapped in a plastic bubble so only their legs and feet are free to move – will have competitors and crowds smiling. WDH’s Engagement Manager Sarah Chatham said: “We hope as many people as possible will join us for this fun day out to celebrate our 10th anniversary.